art’otel on Thursday 18th October and what an exciting line up they&#39;ve put together for this FREE event! Spyros Housemotion one of the main contributors to house music in Greece will bring the solid Shapes vibe to Amsterdam. putting out some seriously dope records on her label Soul Sun Soul Music. 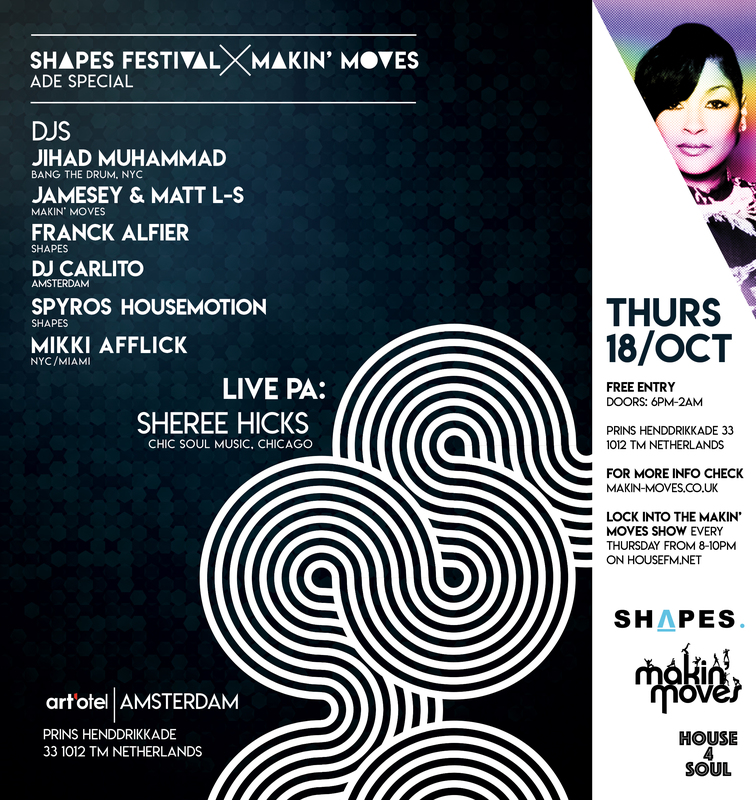 to welcome for her ADE debut, coming all the way from Chicago, Sheree Hicks, who will perform her biggest hits. This all takes place inside the 5 &amp; 33 venue kitted out with a state of the art sound system for this special event at the trendy art’otel.